Anna was born shortly after her parents, aunt and siblings finished their adventureous journey from London to Cincinnati. She spent her early years in "Beech Grove," the spacious house her father had built just outside the city. Financial woes brought them into downtown Cincinnati, where her mother opened a "ladies bording school." Anna undoubtedly received a well-rounded education, given the courses of study offered to those attending the school. By the time Anna married, she was living with her aunt Clarissa and her family, her mother having recently died. Anna was the leader of the St. Paul's Episcopal church choir, where she met George Smith, a Sunday school teacher. St. John's was the church her mother attended, but after a recent congregation restructuring it became St. Paul's. Thank you for your letter. You must be having a very nice time, and have been going out on the yacht with Papa. Now he is in New York, but he will soon be back with you again. Uncle James has just brought in some wheat, rye, oats & timothy grass for hay, for Grandpa and me to see. The wheat is all cut and now the rye is going to be cut. The oats and hay are not ripe enough yet to cut. We have some beautiful flowers here and plenty of raspberries. The little chickens you saw have grown big but we have one new brood of dear little chickens. When they come near my door I have some crumbs to feed them. The hen went off and made a nest for herself under an evergreen tree, and we did not find her till just before the chicks came out from the eggs. The turkey that talked to you in the field still says Gobble Gobble. I say it to him and he answers me back. I admire him very much. He struts around so proudly with his tail spread. I think his hens admire him too. I wonder if you saw his tail spread out. I send my love to you and hope to get another letter sometime from you. Grandpa sends his love too. I enclose a letter for Mamma. 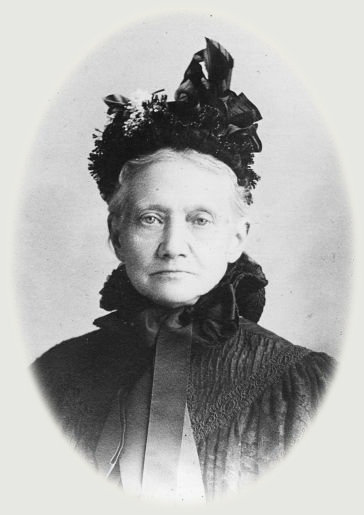 vital records sources: Anna's birth, death and marriage dates are taken from family notes compiled by her son Stanton M. Smith. Her marriage was reported in the 14 June 1861 issue of The Cincinnati Gazette, p. 3.